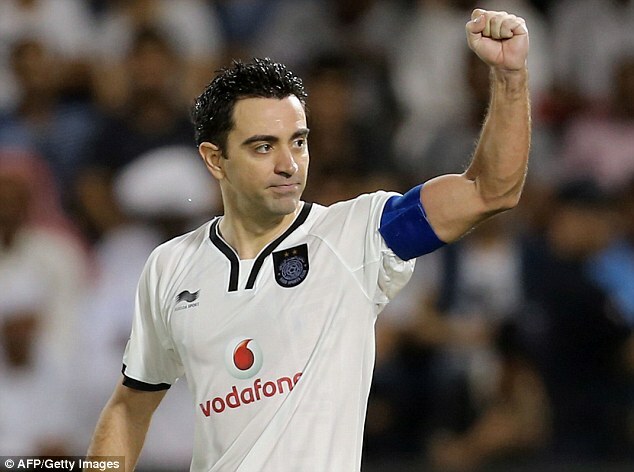 DOHA — Spain and Barcelona legend Xavi rolled back the years with a superb first-half double for Al Sadd in a 2-2 draw with Uzbek giants Pakhtakor in the AFC Champions League on Tuesday. Fresh from their record 14th league title in Qatar, Al Sadd seemingly had the match in control and led twice, but defensive errors allowed the hosts to grab a vital point that helped them stay atop Group D with five points from three matches. Al Sadd are second on four points, ahead Persepolis on goal difference, after the Iranians defeated Saudi Arabia's Al Ahli 2-0 for their first victory in Doha on Tuesday. At the Pakhtakor Markaziy Stadium in Tashkent, it was the 39-year-old Xavi who was undoubtedly the star of the show as he silenced the partisan crowd by displaying glimpses of the class that made him the world's most feared midfield maestro during his heyday. Barely had the match settled into some sort of a pattern, when Xavi stamped his authority with a sublime strike in the sixth minute. After receiving a fine pass from Baghdad Bounedjah, the top scorer in last season's AFC Champions League, the Spaniard curled in the ball from the edge of the penalty area to beat Pakhtakor goalkeeper Sanjar Kuvvatov. Much to Al Sadd's disappointment, however, the advantage lasted only three minutes as Khojiakbar Alijonov punished the visitors for a poor clearance with a powerful shot past goalkeeper Meshaal Barsham. With both sides intent on attacking, it was only a matter of minutes before another goal, and it was Xavi once again who was in the thick of the action. The Al Sadd skipper, who has announced he will retire at the end of the season, hammered home a spectacular 25-yard free-kick in the 16th minute to restore the Qatari side's lead. But once again they couldn't hold on, as Serbian Dragan Ceran made it 2-2 for Pakhtakor in the 42nd minute with a fine header past Barsham. Both teams failed to take their chances in the second half as the match eventually ended in a stalemate. They will play again in the reverse fixture in Doha in two weeks' time. Meanwhile, in Doha, the UAE's Al Wahda bounced back from a goal down to beat Qatar's Al Rayyan 2-1 in Group B, with all three goals coming in the second half.